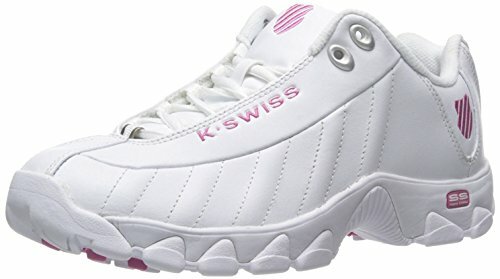 The original k-Swiss training shoe built for gym workouts. Durability is achieved with a rubber outsole and sturdy leather upper. Traction is enhanced by a luggy tread pattern. K-eva midsole for cushioning. Anatomically correct flex-grooves.Leather/synthetic leather or nubuck uppers. Cushioned memory foam footbed for superior comfort. Ghillie lacing system for secure fit. Great for the gym and wearing about.